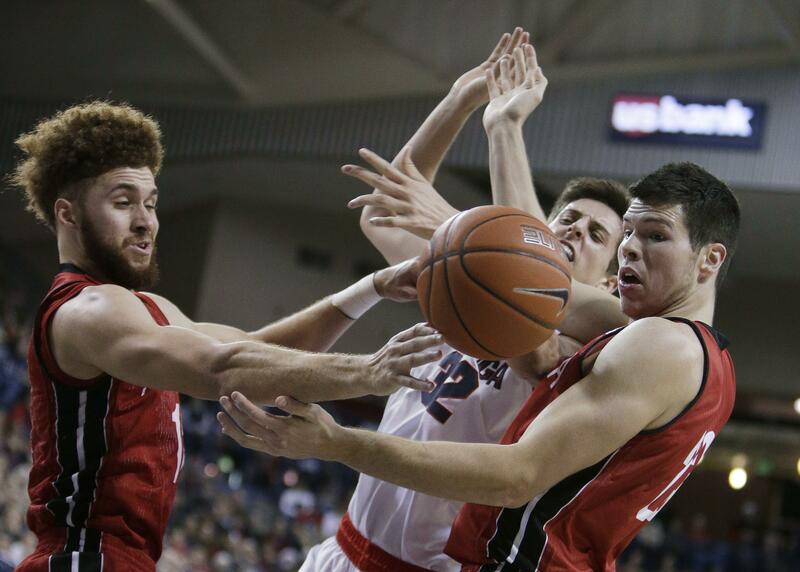 Gonzaga’s first WCC road game brought a customary spirited effort from the home team. Coach Mark Few had warned his players what was coming, but the message didn’t resonate until the second half when the Zags rallied from an eight-point deficit to thump Pacific 81-61 on Saturday. Two more road dates await GU this week, likely in rowdier environments against foes with far better records than the Tigers. The fifth-ranked Zags (14-0, 2-0 WCC) visit San Francisco (11-4, 1-1) on Thursday and Portland on Saturday (9-5, 2-0). The Zags weren’t sharp in the first half of their WCC home opener against Pepperdine before pulling away for a 92-62 win last Thursday. It’s an adjustment Few would like his players to make in a hurry. Junior guard Nigel Williams-Goss, who played Saturday despite dealing with what Few called the stomach flu, didn’t practice Monday. He did participate in some drills Tuesday. Freshman forward Killian Tillie seems fine after taking a hard spill in the first half against Pacific. Thursday’s game will be at San Francisco’s War Memorial Gym, site of senior guard Jordan Mathews’ television debut. Mathews was 3 years old when he joined his father Phil, then the head coach at USF, on an episode of “Teletubbies” shot inside the gym.